Kids' Costumes Under $15! PLUS Additional 15% OFF! You are here: Home / Great Deals / Kids’ Costumes Under $15! PLUS Additional 15% OFF! 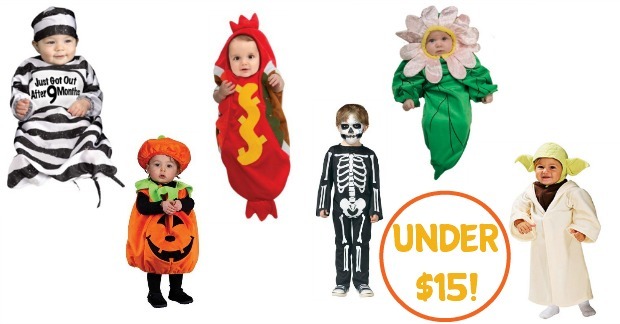 Kids’ Costumes Under $15! PLUS Additional 15% OFF! Have you ever checked out Jet.com? They are beginning to really be a force to challenge Amazon.com and Walmart.com. Right now you can get an extra 15% off your first THREE purchases*! Just use code: TRIPLE15! *TRIPLE15 is valid for 15% off first 3 orders, up to $30 off per order. Check out these adorable kids’ costumes! They are all under $15! How cute are those? Be sure to check out Jet.com and get your discount! They have a ton of cool features and offers there too! As with most online retailers, prices are subject to change and the prices listed in this post were accurate at the time of posting.